TRU Chocolate, Don't You Just Love Acronyms? 2. Drink- Give your friend a follow up 16 oz bottle or glass of cold water. WOW! 3. Dial- 512-404-1282 and hear what people are doing and the weight they are losing! 4. Duplicated- You have just taught them what they need to do to make money. Go to your free company website and sign them up. Make sure they buy a qualifying order so they will also enjoy the 30% weekly quick start bonuses on new orders that you get. That bonus is on top of a very generous uni-level marketing plan that potentially pays all the way to the bottom of your orginazation. You have completed the process. I believe anyone can teach this process! If this is new to you, you should call me at 801-891-7059 and I will get you set up. People are breaking Manager in week and Diamond level in a month. All it takes is doing it! It also comes from the inside by using our incredible EFA capsules and antioxidants. 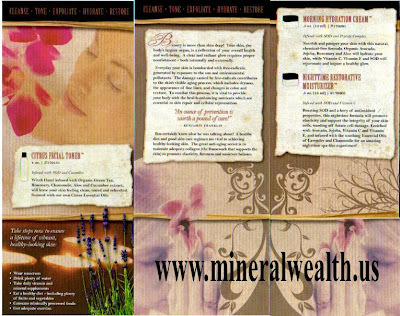 It is incredible how Michelle Wallach has created the finest Mineral Makeup and Skin Care on the market. Hats off to Youngevity! If you understand the Latte Factor, you know that just switching to incredible products like these and buying from yourself, you will never worry about making a qualifying order again. The new compensation plan really makes it worth your time to speak up and let your friends and others know how great our products are. What could ever say more than radiant skin and beautiful makeup? If you see a change, don't you ask what has changed? Your friends are no different. In this company we should all be the best we can be. In this economy a smile is your best selling point. We have everything to smile about! I got an Email from my cousin Gordon Clark this morning. It really puts life in perspective. I don't love money but I need money for things I require. I am not committed to obtaining money more than I am committed to living a good life. What I think is a good life, is a life of giving. I believe in God and try to live his commandments. I believe in putting other peoples needs on the same plane as mine. I believe family is the top of the heap. I care more about my wife and kids than I care about my life. My goal each and every day is to live the way I believe and let others know what I believe without having to say it but by showing it to them. I am perfectly happy with a cup that is plain but that holds a lot of love. Passing of a friend. Is there a story for you? Just thought I would let you know my Trooper is repaired. Strange how we worry so much about our cars and other "stuff" and ignore our own health. I love the idea that people will spend tons of money buying a car and tons of money keeping it in good running order and changing the oil and filling the tank with "good" fuel and yet they won't take quality vitamins. We all feel we are doing what's right with our bodies. We watch our cholesterol, fatty foods, sugar intake, don't smoke, never drink too much, always exercise, watch our weight. Oops! Am I dreaming, lets say some of us do these things. We all pick and choose. One thing about Youngevity you never have to guess whether we are getting the best supplements. Doc has always led with the mighty 90. 90 essential vitamins, minerals and amino acids with the essential fatty acids. If you don't know what that means go back to the first posts on my blog and I explain it fully. I am thinking about my best friend Gary today. A couple of weeks ago he was up from St. George and sat with his uncle Lon as he passed away with cancer. Very traumatic. He had to go back to work and missed the funeral. His uncle Jerry spoke and I know he would have loved his talk. I found out many new things about Lon I was never aware of. He was a builder of homes. He would build a home and live in it while he built another home and then move into the new home and so on and so on. I met Lon many years ago when I was about 16. He built the home next to my parents in Salt Lake. It was an investment home. Lon didn't know he would die a long, excruciatingly painful death with cancer. He was just like you and me, living his life. I bet he was not aware of antioxidants, nor did he take them. Gary called me this morning to let me know that he got a call about his Uncle Bill and that he had passed away. He was also at Lon's funeral. He had a heart attack. They were in their 70's. Many would say that they had lived a long and full life and it was their time to go. I am pushing 60 and I want you young people to know that I feel no different today than I did at 18. From my side of my eyes, I look out and see opportunities to fully enjoy the rest of my life. You never, as I see it and as it has been related to me by very old people just prior to death, feel different. Sure, you can't do some things you used to be able to do. If you keep a young mind by being adventurous and having goals and dreams for your future, you can always enjoy more life. It is when our body fails and we get sick and are in pain and lose functions that people start to give up. Sam Clements used to say that if he had known he was going to live this long he would have taken better care of himself. We should all take note of that and start today, taking better care of ourselves. I bet Uncle Bill didn't know he should be taking selenium and absorbable calcium. Gary's call was hard for him. He is feeling his mortality. His Uncle Jerry, the one that spoke at Lon's funeral, is the oldest in his family line and then comes Gary. He has younger cousins but he is one step away from being the patriarch of the Vombaur genealogy. His comment to me was that he is quitting smoking this weekend. I wish he had said he is quitting smoking now, because then it would have led me to believe he had a better chance of success. Smoking is very hard to quit but it can be done if you make a decision to "Never smoke again!" Just one more will end your quest. I love Gary like a brother and hope it works for him. I know that smoking is a big health hazard. I have family members that I long to see quit the habit. I know it can be done. When I was young I smoked 3 packs a day during the week and 5 each on Friday through Sunday. I quit the day I caught my two young boys imitating me with their crayons. I knew it was bad and I did not want to be the influence that would cause them such pain. It half worked. I know it is possible. The odds are against you and it requires real determination, but it can be done. 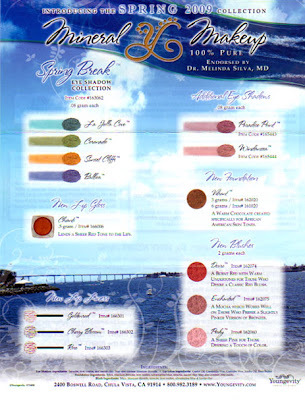 I wonder if Gary knows that Plant Derived Minerals help reduce cravings. I will have to let him know about that. Think this over. Put your own name in the headline. What do you need to find out to make your life longer? What should you do to make your health better. My own dad passed away on April 1st, 2005 . That was a horrible April Fools trick on me. He was an incredible father and a great example of a man of integrity. I knew about our products for 3 years prior to his death. I talked about them with him until he finally said that his friends the doctors were the last word on his diabetes. He would not take supplements because they cost money. Lack of money was not his problem it was lack of belief. I am confident that he would be alive today if he had done as I asked. I know our products have saved my life twice. I also know that the only way you will know what they would do for you is to try them. I can't make you any promises and the government requires that the last word you will hear as you go out of this life will probably be your doctor's voice. Sorry about the soap box. But, this is a subject I feel strongly about. On a lighter note. I ran into a cool clock the other day. It is a statistics clock and I would like to share it with you.http://www.poodwaddle.com/worldclock.swf You will find every statistic from soup to nuts. Check out the death reasons. See if you think you want to make a change in your life. 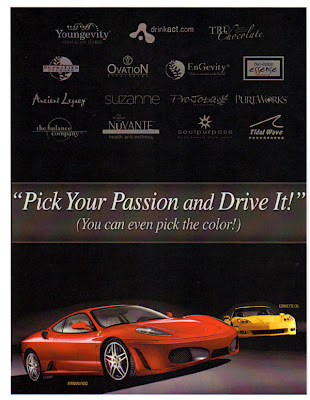 Do you want a C6 Corvette and a F430 Ferrari? So you think Triple Diamond would be nice but you've thought it really wasn't worth your effort for only millions of dollars and a percentage of the total company revenue. Now that Triple Diamonds are getting more common, Doc and Steve threw a new log on the fire. How about really pushing yourself and earning a brand new C6 Corvette or busting the envelope and earning, any color of your choice, a brand new F430 Ferrari. Can you smell that never been sat in car smell mixed with the leather and raw speed. Can't you just feel the wind in your hair. Be careful don't get a ticket. Ha Ha. This isn't for everyone but it is for the cream of the crop. By the way if you prefer a station wagon or a Hummer or cash, it's up to you! Up till now Youngevity has only made available car bonus money, up to $1000 a month. That's still available, of course, along with a huge compensation plan for each aquired level, but now this is added to the plan, if you qualify, they will slap the keys down on the counter in Chula Vista and send you home with the title to a fabulous car. Read the rules and fine print on the company site. If you ask me is it worth it? I would have to say that for those with big dreams, alone it probably isn't a big enough incentive. Some incentives are about the people. Don't get me wrong, it's an incredible opportunity, but think of all the people who's lives you will touch in order to drive away in those cars; people that maybe don't have it in them to aspire to something so great, people that believe they will never drive more than a paid for, beat up, old, barely alive car, that gets them to a job that over uses them, for not nearly enough money to live on. Because of that leader, they are inspired and have hope. They improve the lives of their family and they become inspirations to others. Those kind of dreams and passions make a Vette or a Ferrari pale by comparison. Don't get me wrong the people with the drive deserve the best because they don't do it alone. They can't do it alone. They drag people along, kicking and screaming to prosperity. It takes a team and believe me, when that leader drives off in that car, their team will be at the curb cheering them on. Those people at the curb know that the inspiration and the leadership and the coaching paid for that car and it was their team who benefited. Now when you add that to the value of the cars, it is a "HUGE INCENTIVE." Way to go Doc and Steve, we love you! Wow, look at that boy! Convention Now! Boy, I just saw one gorgeous baby and a proud daddy. Congratulations to Blake and Niabi Graham on performing a duplicable process with the end result as always with Blake ~ Superb! Good thing the little one got his mom's looks though. Check out the picture under following my blog. Convention in Las Vegas started two hours ago. Don't you wish you were there and knew all the exciting new things going on with Youngevity! With all the TRU Chocolate excitement and the changes in the marketing plan and all the new money it is going to be one exciting weekend. For the leaders that missed this event I feel bad but I am sure you had a good reason. For the ones that are there, I know your lives will be blessed. Wow, 3 in one day. This is important! It can't wait! Please Read! 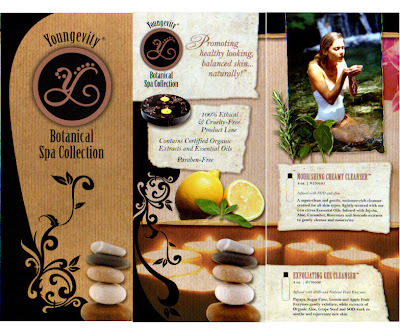 I got this in an Email from Alexandria Brighten our Essential Oils expert in Youngevity. 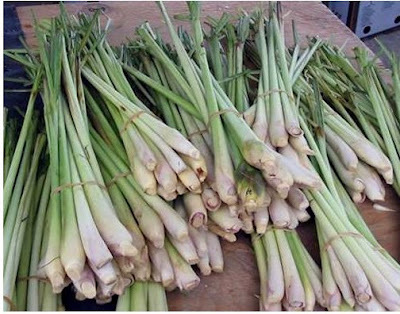 I got this really good information on Lemongrass and cancer. Thought you would like to share this with everyone. 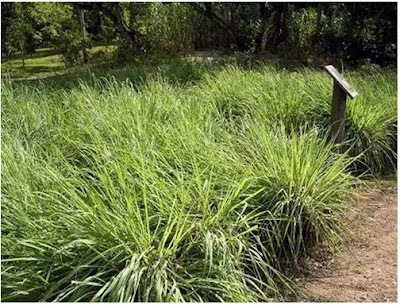 Imagine what the Lemongrass essential oil can do. Would make a nice warm (not Hot) tea to drink and also get the benefits from it. (apoptosis) noun: a type of cell death in which the cell uses specialized cellular machinery to kill itself; a cell suicide mechanism that enables metazoans to control cell number and eliminate cells that threaten the animal's survival. Israeli researchers find way to make cancer cells self-destruct -Ben Gurion University. It all began when researchers at Ben Gurion University of the Negev discovered last year that the lemon aroma in herbs like lemon grass kills cancer cells in vitro, while leaving healthy cells unharmed. The research team was led by Dr. Rivka Ofir and Prof. Yakov Weinstein, incumbent of the Albert Katz Chair in Cell-Differentiation and Malignant Diseases, from the Department of Microbiology and Immunology at BGU. On a trip to Europe in the mid-80s, he began to become interested in herbs. Israel, at the time, was nothing like the trend-conscious cuisine-oriented country it is today, and the only spices being grown commercially were basics like parsley, dill, and coriander. Wandering in the Paris market, looking at the variety of herbs and spices, Zabidov realized that there was a great export potential in this niche. He brought samples back home with him, 'which was technically illegal,' he says with a guilty smile, to see how they would grow in his desert greenhouses. Soon, he was growing basil, oregano, tarragon, chives, sage, marjoram and melissa, and mint just to name a few. He also felt a responsibility to know what to tell his customers about its use. 'When I realized what was happening, I picked up the phone and called Dr. Weinstein at Ben-Gurion University, because these people were asking me exactly the best way to consume the citral. He said to put the loose grass in hot water, and drink about eight glasses each day. DISCLAIMER: The information shared herein is that of the writer and is intended for informational purposes only. The statements contained herein have not been evaluated nor approved by the Food and Drug Administration. Any advice and/or product(s) mentioned should not be used to diagnosis, treat, cure or prevent any disease. Always consult your healthcare professional if you are currently taking medication, pregnant, trying to get pregnant, nursing, or if your have any other health condition before taking any products mentioned or applying any information contained herein. I think everyone will agree this is well worth looking into! Where else can you go in this economy and hear about a product and a business blasting the charts out of the water and people making tons of money. Triple Diamond in under 8 months and scores of new Diamonds. Join in the fun! Make the money yours! Subject: Way To Go Team!!! Another Record Month for TRU Chocolate Sales, in fact, it wasn't even close, the December Sales Record was Smashed! Saturday saw the Biggest Sales of TRU Chocolate and it wasn’t an Autoship Day, and our Offices weren’t even open! Way To Go!!! I know with what we have in the Works, The Sky is the Limit!!! Everybody! This is real and it's happening right now! Get on board, lose weight, get healthy and make money! You joined for life, now live your life to the max.